Denefield School is an 11-18 academy in West Berkshire, just on the outskirts of Reading and this school has some of the most modern facilities we’ve seen.The quality of their facilities really does reflect their strong belief that enrichment outside of the classroom is pivotal to the development of the whole child. 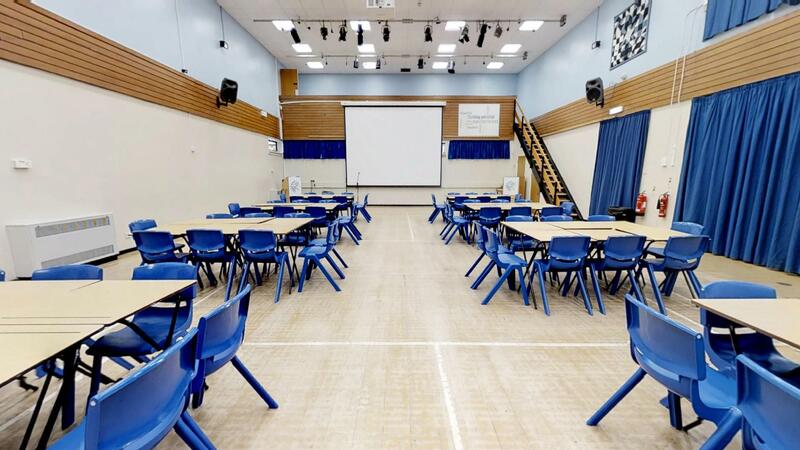 It has two fantastic main halls, a sports hall, two drama studios available to hire to mention a few. 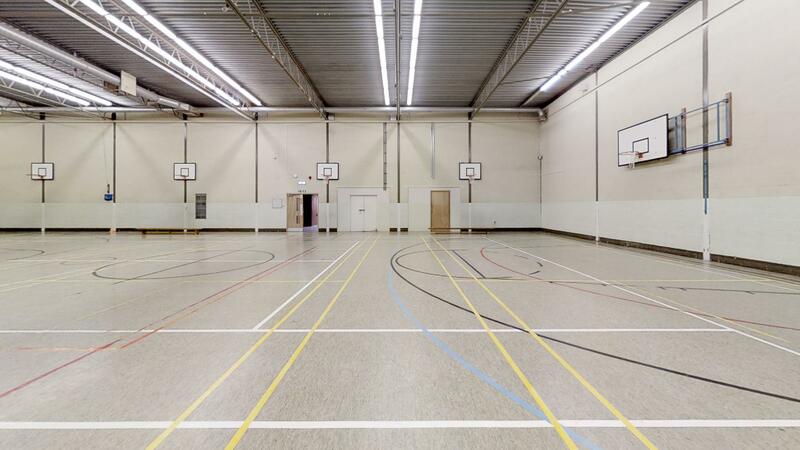 Denefield's Sports hall is a large space ideal for many sports. There are several markings on the floor, such as for football and four badminton courts. Cricket nets and mats are available, in addition to basketball hoops and badminton posts. The DaVinci room is an impressive space is ideal for larger meetings and talks. There is seating for 130 set out, with access to further seating if needed. Customers have access to a lecturn, and projector access can also be requested in advance. 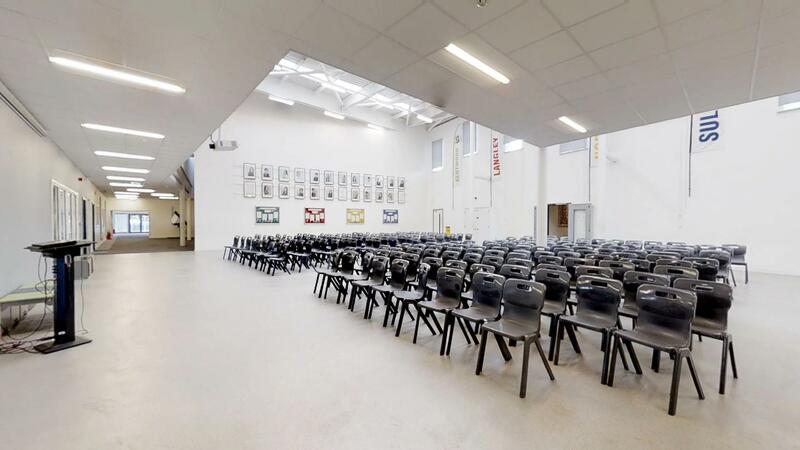 The School's main hall includes tiered seating for 120, plus additional seating and tables available for up to another 95. 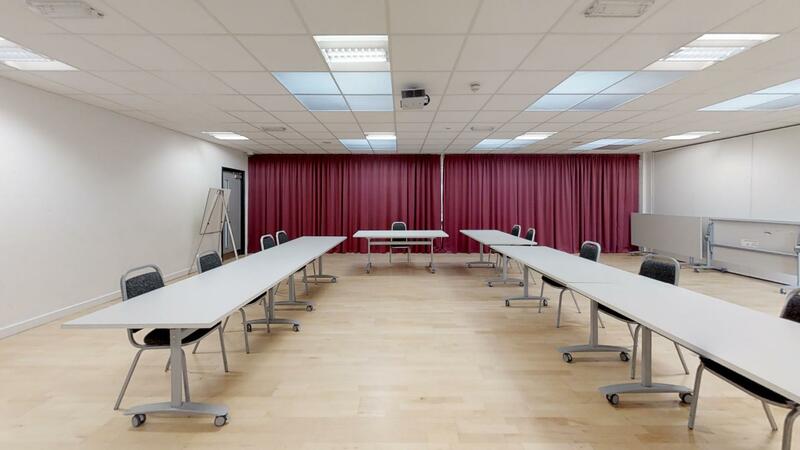 This space is perfect for talks with large audiences, or as an adaptable space for workshop sessions. The dance studio can be rented as a whole or two halves, separated by a partition wall. It has a wooden floor and curtained mirrors available along one wall. 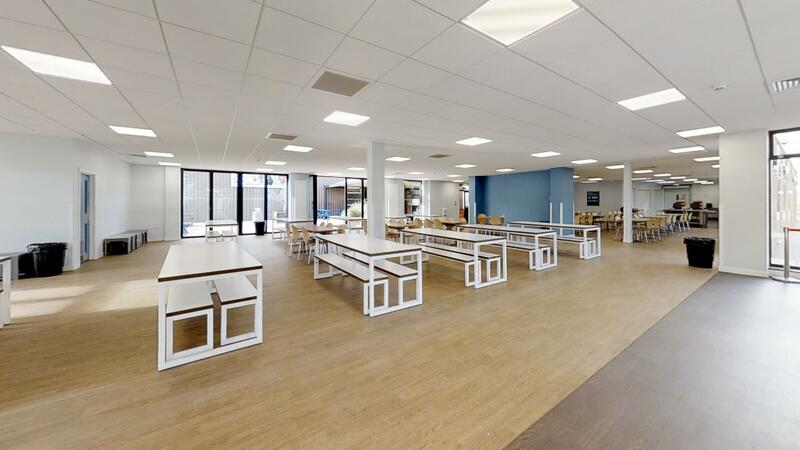 With access to seating for up to 75 and tables too, this space can also be used as a meeting room. The price of the whole hall is £40; when split larger half £25 and smaller £20. 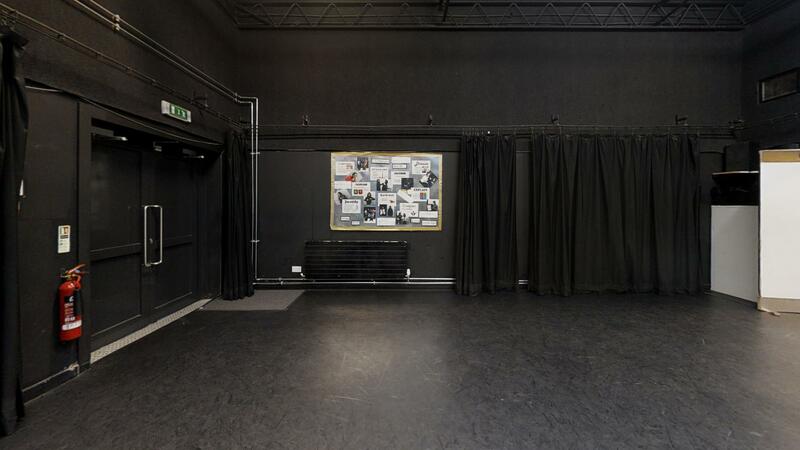 The main drama studio is a larger space for acting, dance or yoga classes. Chairs are available, however the space is usually clear. 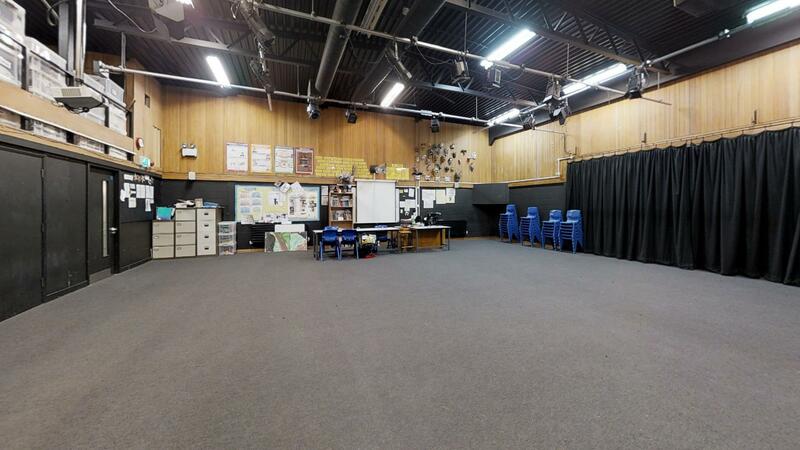 The smaller drama studio on site is Ideal for smaller groups, this is a clear space with seating available for up to 30 people. The gym is the perfect space for gymnastics or dance groups. 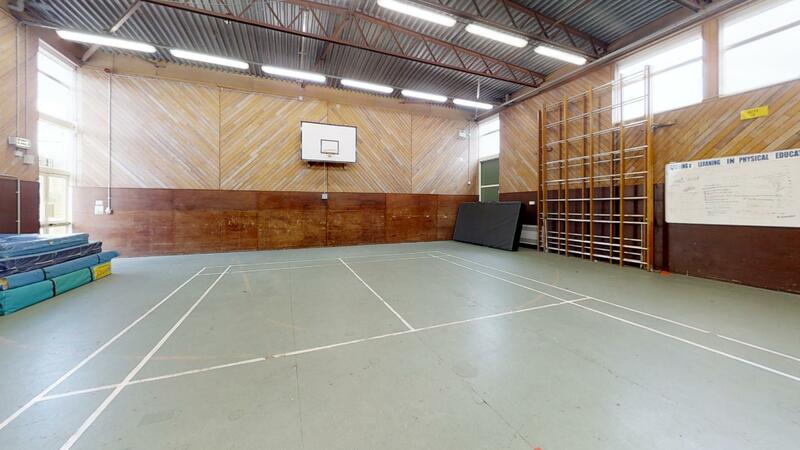 The floor has markings for one badminton court, and there are also basketball hoops available. The Dining hall is a large airy space: one side of the room has doors that open straight onto a patio, perfect for summer events. There is ample seating, making this a great space for large groups or events. 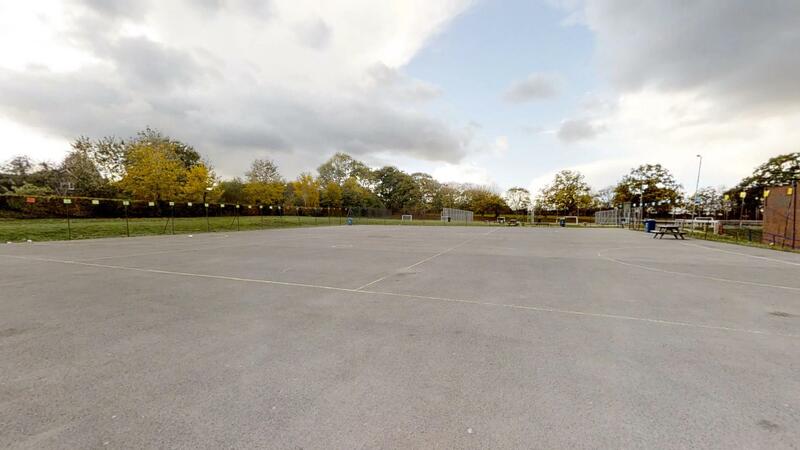 Denefield has a number of outdoor sports facilities, including football/rugby pitches, cricket pitches and netball courts. Chat to us to find out more. If you are looking to book Denefield School, please plan in advance! We are unable to accept bookings or amendments less than 7 days in advance of your proposed start date.